Weaponized Social is an emerging program that seeks to support a healthier online ecosystem. 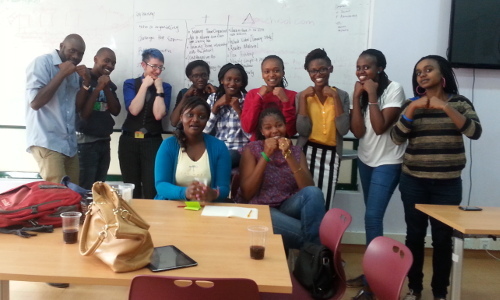 Since our last gathering in New York, we've been to Nairobi on May 2nd, hosted WeapSoc SF in our office home in San Francisco, and facilitated a highly relevant event, the International Workshop on Misogyny and the Internet in MY home base of Cambridge, MA. We've continued to build out the Weaponized Social Wiki with notes from conversations, projects, and possibilities. In Nairobi at AkiraChix, we further refined the checklist for making safe space and started two projects: FaceOff and Trolling the Trolls. FaceOff provides space for highly visible people to interact in a nuanced way, posting back to short-form spaces, so as to ask their constituents to be better balanced. This is a response to the very real occurrences of politicians calling their online followers to take action (sometimes violent) in offline space. Trolling the Trolls seeks to use language patterns from sock puppet accounts to find those accounts sooner, and respond to them before they have a negative impact on the speech of marginalized individuals online. Yvonne, who suggested this, also introduced me to ZeroTrollerance which was then represented by Peng! Collective. How can humanitarian response be decentralized? For a long time, it wasn't possible to include everyone's voice in planning or decision-making without impossibly large amounts of time. There was no way to listen, at scale. So aggregation and centralization became common, especially in times of urgency, even with the troubles these tend to cause. Read more about How can humanitarian response be decentralized? 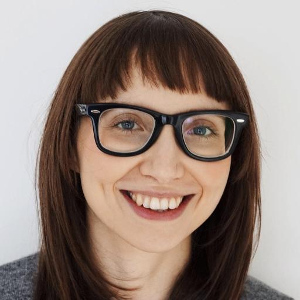 We are excited to introduce Beatrice Martini, our new team member and Human Rights Technology Lead. Originally from Italy, Beatrice now lives in Berlin, Germany and will work from overseas to drive capacity building efforts with human rights-oriented NGOs from around the world. We are looking forward to having her at the helm of this multi-dimensional program, which will involve articulating technology practices, facilitating digital security literacy, and the pursuit of a shared language among stakeholders in the human rights technology ecosystem. We'll see you at the Allied Media Conference in Detroit! We are flying to Detroit, Michigan to participate in the Allied Media Conference from June 18-21. Aspiration and friends will include Misty, Javier, Nasma, Beatrice Martini, and Michelle Thorne. We're excited to get lost in the flurry of sessions and festivities, but hopefully we find you somewhere along the way. Here's a snapshot of our known agenda if you want to connect. 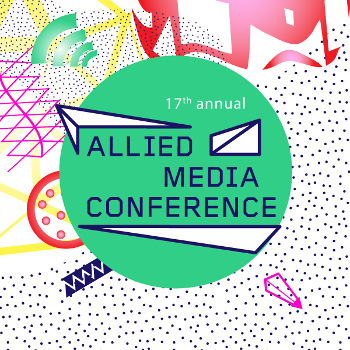 Read more about We'll see you at the Allied Media Conference in Detroit! Capacity building in Spanish: What's lost in translation? The Spanish-speaking community faces unique accessibility challenges with technology. Most technology tools are built solely with English-language users in mind, and are often too costly for most migrant communities in California. This holds especially true among nonprofit organizations working in service of Latin@ communities. Read more about Capacity building in Spanish: What's lost in translation? Construyendo capacidad en español: ¿Que se pierde en la traducción? La mayoría del tiempo, la comunidad latin@ enfrenta desafíos de acceso a la tecnología. Las herramientas tecnológicas han sido, y siguen siendo diseñadas para usuarios que hablan inglés, y también son muy costosas para las comunidades migrantes en California. Esto es especialmente cierto entre organizaciones sin fines lucrativos que trabajan en servicio de comunidades latin@s.
Escuchando a las organizaciones sin fines lucrativos a través del estado de California, nos dimos cuenta de la necesidad de una colaboración en diseñar y facilitar talleres tecnológicos en español. Para empezar, durante los meses de Marzo y Abril estuvimos localizando nuestros talleres de comunicación en linea ya existentes. Organizamos nuestro primer taller en español en Los Angeles con la ayuda de IDEPSCA, el 8 de mayo del 2015. Los recursos están disponibles aquí. A continuación encontrarán algunas de las cosas que aprendimos durante el taller en Los Angeles. Read more about Construyendo capacidad en español: ¿Que se pierde en la traducción?